PROFESSIONAL PENCIL DRAWING OF THREE HORSES DRINKING AT TROUGH SIGNED P.STAFFORD & AFTER ORIGINAL BY JOHN FREDERICK HERRING SENIOR. 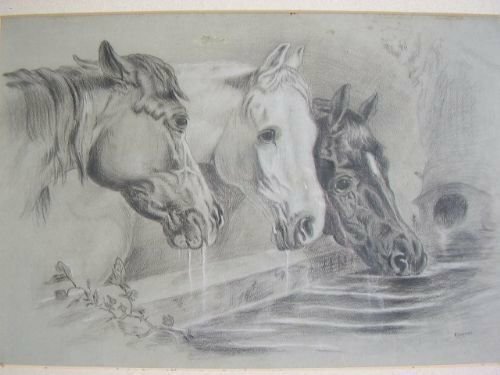 A professional pencil drawing of 3 horses drinking from a trough of water to quench their thirst. 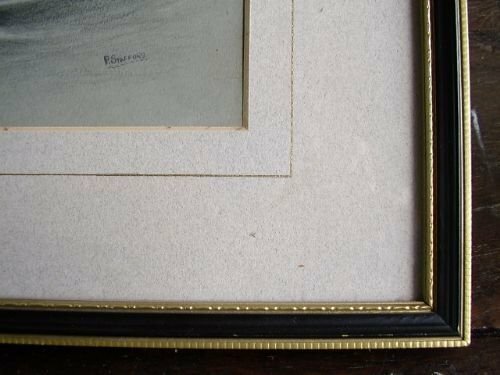 Finished to a professional standard and nicely framed under glass inside the original frame and border. John Frederick Herring, Sr. (12 September 1795 – 23 September 1865),also known as John Frederick Herring I, was a painter, sign maker and coachman in Victorian England.He painted the 1848 "Pharoah's Chariot Horses" (archaic spelling "Pharoah"). He amended his signature "SR" (senior) in 1836, with the growing fame of his teenage son John Frederick Herring Jr. In Doncaster, England, Herring was employed as a painter of inn signs and coach insignia on the sides of coaches. In 1845, Herring was appointed Animal Painter to HRH the Duchess of Kent, followed by a subsequent commission from the ruling Queen Victoria. 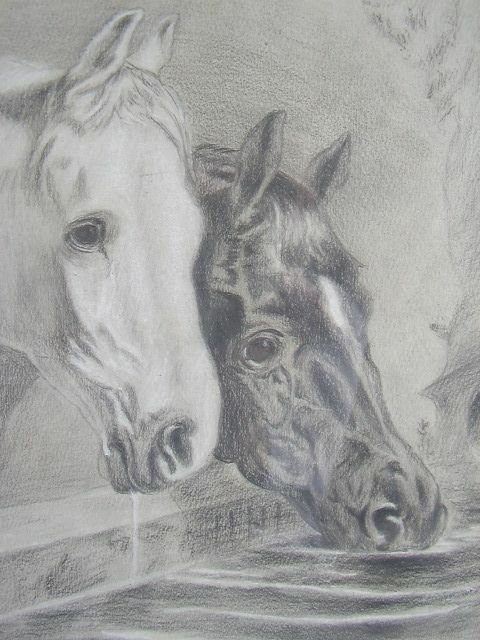 In 1853, Herring moved to rural Kent in the southeast of England and stopped painting horse portraits. He spent the last 12 years of his life at Meopham Park near Tonbridge, where he lived as a country squire. He then broadened his subject matter by painting agricultural scenes and narrative pictures, as well as his better known sporting works of hunting, racing and shooting. 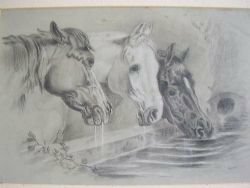 The paintings of Herring were very popular,and many were engraved, including his 33 winners of the St. Leger and his 21 winners of the Derby. Herring exhibited at the Royal Academy from 1818–1865,at the British Institution from 1830–1865,and at the Society of British Artists in 1836-1852, where Herring became Vice-President in 1842. 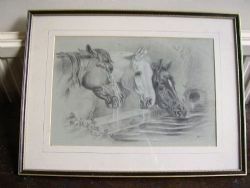 PENCIL DRAWING THREE HORSES WATERING AFTER J.F.HERRING SENIOR. 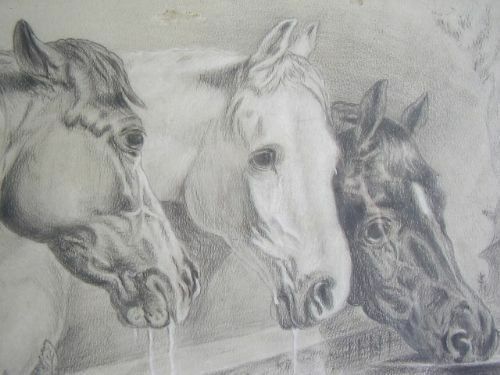 A professional pencil drawing of three horses drinking from a trough of water to quench their thirst. Finished to a professional standard and nicely framed under glass.